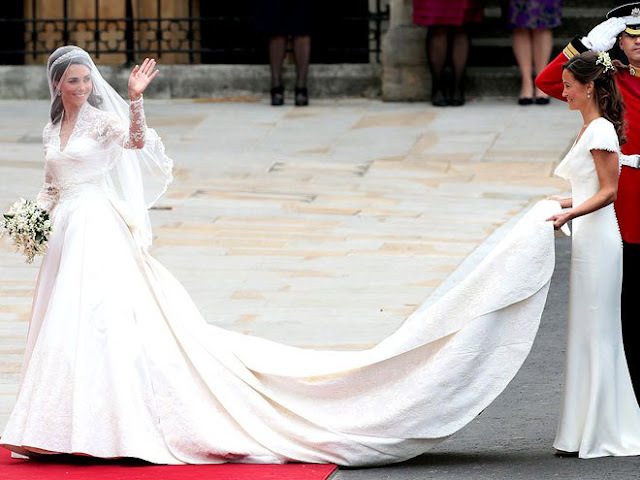 One of the most anticipated events for people all over the world took place this past Friday, April 29th - the royal wedding between Prince William & Kate Middleton. I have to admit that I was very excited to watch this to see the many details of their wedding come together after hearing about it for so long. 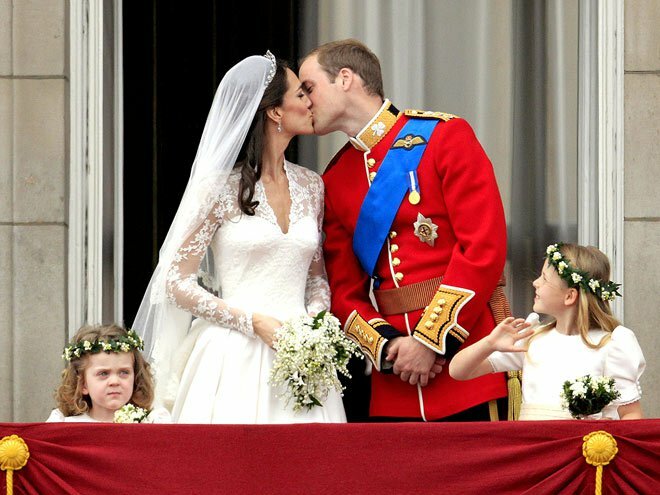 Since weddings are big part of my life I was anxious to see what Kate was wearing, what the decor was and the expressions on everyone's faces. One of my favorite parts of wedding ceremonies is the expression on the groom's face as the bride walks down the aisle. You could see the excitement in both of their faces when they saw each other in church - it was truly priceless. Another part of this wedding that I loved was how Kate's sister waited for her outside the church before her grand entrance. Brides are always so nervous before walking down the aisle and I can't even imagine how Kate was feeling. But I'm sure having her sister by her side before walking down the aisle was very comforting. Kate Middleton's wedding dress designer, Sarah Burton, was kept a secret and no one knew what her dress would look like. I thought it was gorgeous! I loved the lace, the simplicity of her train and the detail in her veil. She looked stunning. I especially loved her evening reception dress. It showed the modernity of the couple after a traditional ceremony earlier that day. Overall I think the royal wedding was elegant and classic with a modern touch. It was so fun to see how everything came together and although this was the royal wedding it still felt like any other couple coming together to celebrate their new life together.